In the Pink: poems from the Garden has been compiled by Sue Fielding from her time as Australian Poetry’s Cafe Poet at the Olive Botanic Gardens in Alice Springs. During her residency, Sue Fielding led poetry writing exercises, encouraged poets in their own work and generally fostered an atmosphere of creativity under the Bean Tree Cafe umbrellas. 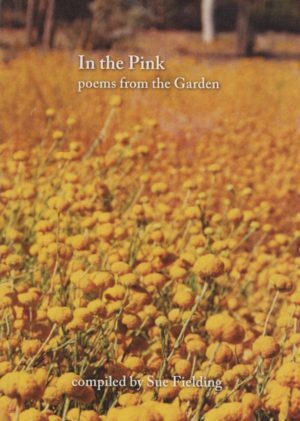 The result is a testament to the thriving Alice Springs poetry scene, and this collection is as diverse as it is rewarding.